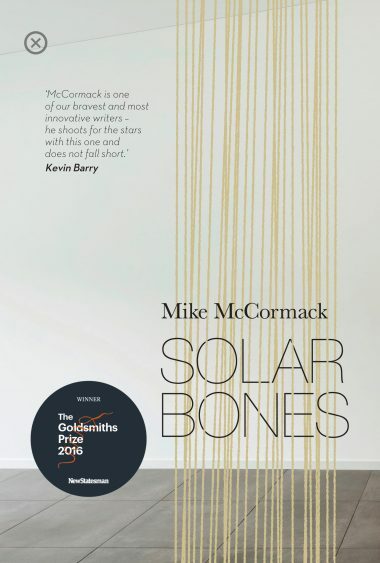 Mike McCormack’s Solar Bones is one of the five novels shortlisted for this year’s Kerry Group Irish Novel Award! The award, in association with Listowel Writers Week, is worth €15,000 to the winner. Past winners include Anne Enright, Eimear McBride, Joseph O’Neill and John Banville. Solar Bones, which has won the Goldsmiths Prize, BGE Irish Novel of the Year award and Overall Book of the Year, is Mike’s third novel. We’re delighted for Mike and this wonderful novel. COngratulations also to his fellow shortlisted authors. The winner will be announced at the Listowel Writers Week Opening Ceremony on the 31st May 2017. Mike will be reading this year’s 46th annual Festival which will take place over the June Bank Holiday Weekend – 31st May to 4th June 2017, find out more here. You can pick up a copy of Solar Bones here, or in your local bookshop.